Description: Galileo Galilei (1564-1642) was an Italian physicist, mathematician, astronomer, and philosopher who played a major role in the Scientific Revolution. His achievements include improvements to the telescope and consequent astronomical observations and support for Copernicanism, which held that the Earth is not the center of the universe and that the Earth and planets revolve around the Sun. Galileo has been called the father of modern observational astronomy, the father of modern physics, and the father of modern science. This eBook tells the life story of Galileo, from a chapter in Great Astronomers by Sir Richard S. Ball (2nd edition, 1907). It begins: Among the ranks of the great astronomers it would be difficult to find one whose life presents more interesting features and remarkable vicissitudes than does that of Galileo. We may consider him as the patient investigator and brilliant discoverer. We may consider him in his private relations, especially to his daughter, Sister Maria Celeste, a woman of very remarkable character; and we have also the pathetic drama at the close of Galileo's life, when the philosopher drew down upon himself the thunders of the Inquisition. 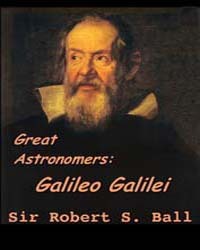 The book explains Galileo's work and theories, along with a narrative of his personal troubles because of his science. The Catholic Church held that Galileo's theory was heretical, contrary to holy scripture. He was ordered never to speak of it, but he defied that order and was tried before the Inquisition again for heresy and defiance of a Papal decree. ...With his hands on the Gospels, Galileo was made to curse and detest the false opinion that the sun was the centre of the universe and immovable, and that the earth was not the centre of the same, and that it moved. 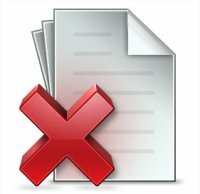 He swore that for the future he will never say nor write such things as may bring him under suspicion, and that if he does so he submits to all the pains and penalties of the sacred canons. He was ordered to be secluded for the rest of his life and not to speak of his theory again. The book ends with this sad story of science versus dogma.